Bai Bai He and William Chan pair up for 2018 C-Drama Only Side by Side With You, a slow-burn romance between a drone-designing entrepreneur and the man that sets out to ruin her company out of petty desire for vengeance against her childhood friend. Despite the rather twisted synopsis, this drama manages to be staggeringly boring. And as much as I tried – truly tried – to trudge through each and every drawn-out episode, I had to DNF this drama at episode 25. Given that this is just a little over halfway through its full run, I still feel that I saw enough to review this amazingly dry piece of work and its complete lack of competency in telling a compelling story through a televised medium. 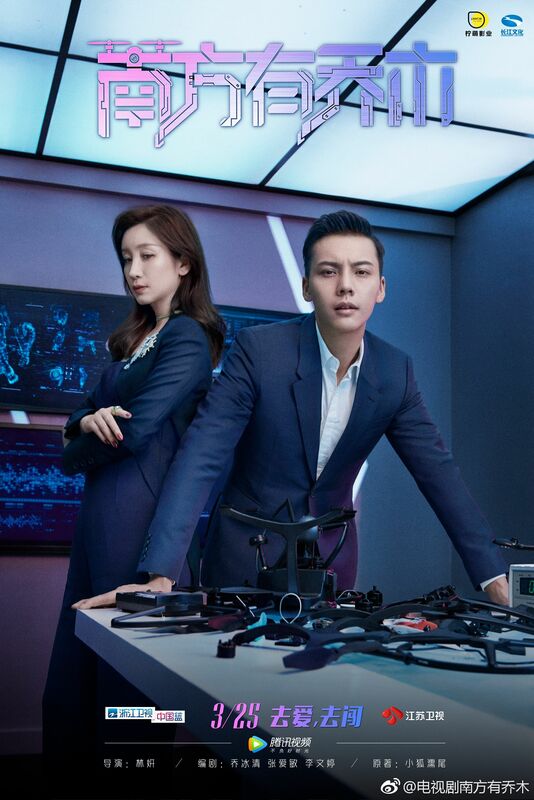 When budding entrepreneur and head of the up-and-coming drone company “Future Up” Nan Qiao discovers her fiancé and investor is cheating on her with another woman, Nan Qiao switfly calls off the engagement. Unfortunately, this ultimately results in her losing her investment as well. With her company struggling to stay afloat, she must resort to drastic measures. 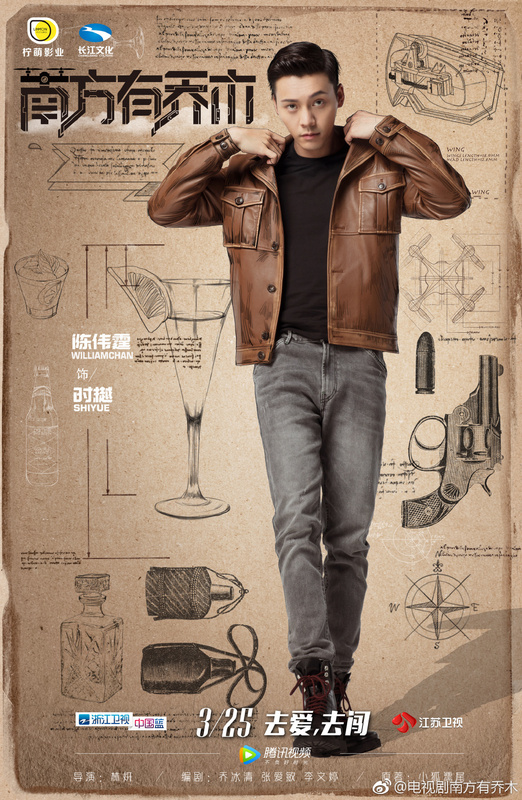 Help comes suddenly and unexpectedly in the form of Shi Yue, the mysterious owner of trendy bar, Lucid Dream, and rock climber extraordinaire. He agrees to provide funds for Future Up with the stipulation that he is also granted some of the company’s stocks. But Shi Yue has his own agenda in reaching out to Nan Qiao, and a history with her childhood friend Chang Jianxiong that fuels his desire to hurt anyone Jianxiong loves – with Nan Qiao being the primary target. 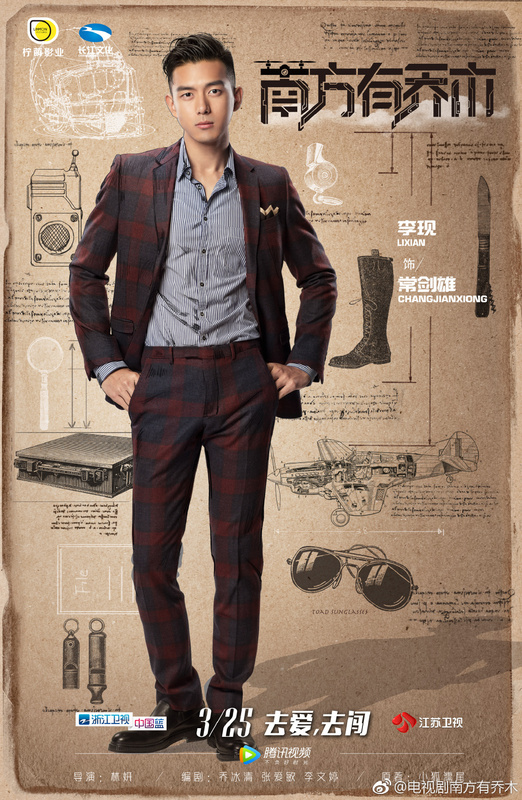 His plans for vengeance may be foiled, however, as he finds himself falling for Nan Qiao instead. You know there’s a fatal flaw in a story when you get halfway through the 40-episode series and realize most of what you watched was just flashbacks of events that happened prior to the drama, or events of the drama. And what isn’t flashbacks either makes you want cringe at the uncomfortably aggressive romantic advances of the male lead or just simply fall asleep. 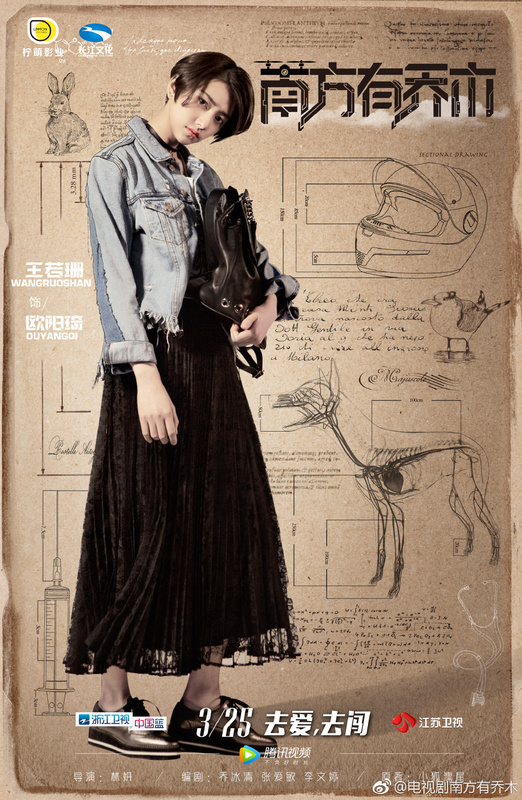 There’s really no silver lining to Only Side by Side With You, and I say that with the utmost regret because I really did have it in my heart to root for businesswoman, designer, and independent woman Nan Qiao at the beginning of the drama. Right out the gate, the premise of this drama is nothing new. “Girl/Guy #1 gets close to Girl/Guy #2 in order to scam or ruin them, only to fall for them instead” is a very familiar and well-worn trope. But it is at least a somewhat interesting trope that had the potential to be fun even while lacking in originality. Only Side By Side With You does not deliver on any of the hijinks that could have ensued from Shi Yue’s two-facedness, and doesn’t even have the decency to be bad and interesting. It’s just stale white bread, in the guise of a television series. There are an unfortunate number of factors that bog down the storyline of Only Side By Side With You, the most obvious and frustrating one being its pacing. I don’t know whether to be insulted by the sheer number of flashbacks as a member of the audience or annoyed with the blatant attempt to pad the run time of a 40-episode drama. We had flashbacks of scenes that happened in an earlier episode as well as within the exact same episode the scene occurred (a 45-minute episode, mind you). We had flashbacks that would repeat in consecutive episodes, flashbacks that dragged on for minutes on end. 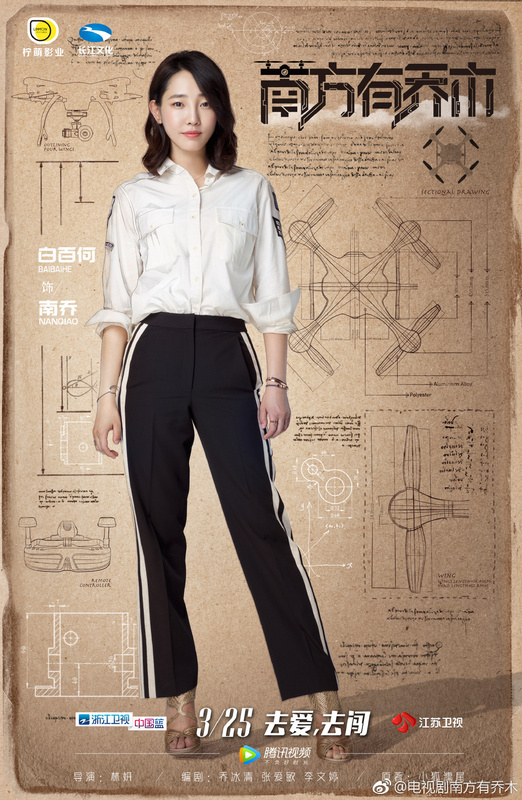 I wish I was exaggerating when I say that Shi Yue’s departure from the flight academy scene was played at least eight times, and it was just as boring the first time as it was the eighth. Which brings me to my next issue with this drama – the utter lack of stakes or rising action. The most significant action sequences occur in a setting that poses little to no threat to our main characters, such as the paintball course or Shi Yue’s pointless parkour running montage. If an actually dangerous sequence of events was occurring, it was in a flashback. Which isn’t very interesting to watch because we as the audience in hindsight know that no serious danger is going to befall anyone in the flashback given their apparent health in the present timeline. And the lack of stakes extends far beyond the concept of physical danger, something that poses an even bigger problem for the story overall. Nan Qiao’s company may be struggling financially, but you sure wouldn’t know it by the spotless, high-tech interior of the office or the way she and Wen Di drop spending money. As the drama progresses, we are constantly told that bosslady and puppetmaster An Ning (who is trying to ruin Future Up) is a threat, but I never got a real sense of dread or urgency while watching her. It’s painfully obvious Shi Yue will eventually rise up against her out of his love for Nan Qiao by the end of the drama, and I wasn’t about to stick out 15 more episodes of tedious flashbacks for this predictable payoff. More than a high-stakes drama about a battle of tech-companies, I felt like I was watching a drone commercial made by someone with an unfortunately small short-term memory. And everything that wasn’t painfully boring was just… confusing. Some of the circumstances of the plot are so coincidental it’s almost baffling, like Nan Qiao’s nephew showing up to crash the couple’s first “date” as they sat parked along the side of a secluded road. Naturally, I was confused when he made an appearance given his young age, lack of vehicle, and the remote location of the scene. But then a random girl also materialized out of nowhere asking for a lift, only to be left with this barely teen aged boy and the keys of Shi Yue’s expensive car. Then, actual minutes later as the couple continue their walk up this strangely empty but well-managed road (possible car theft be damned), they stumble across a hiker lying just along the tree line who needs dire medical attention. I think this was a very convoluted way of showcasing Nan Qiao’s resourcefulness as she saves the day with an emergency med-drop via drone. But I was so genuinely confused by this bizarre sequence of events that I couldn’t be bothered to pump my fist at the obligatory “Hoorah, girl power” moment the writers were trying to force down my throat. And I’m not saying this to disparage Nan Qiao’s character in any way because I genuinely felt that she was (at least in the beginning) a refreshing female drama lead. I just want to know what kind of discussions were had by the writers that led them to believe this scenario was remotely plausible. And this isn’t even a one-off problem the drama faced. I was perpetually asking myself why anyone was doing anything in this drama, and why I should care. 25 episodes in, I resigned myself to the fact that I just… didn’t. Nan Qiao begins Only Side By Side With You as a promising character, as far as female drama leads go. She’s a career-driven woman, intelligent, and has enough backbone to call off her engagement with the man who cheated on her despite this jeopardizing her future in the tech industry. She is confident in her abilities as the head designer of Future Up and believes she can find investment elsewhere in order to continue to develop her brand. Hurray, just the kind of girl I want to root for. Enter Shi Yu. And goodbye competent female lead. Shi Yue destroys whatever credibility Nan Qiao establishes for herself in the start of the drama as an autonomous and level-headed character. She falls for him absurdly fast, despite having just come out of long-term relationship that you’d think would give her some trust issues. To make matters worse, Shi Yue is terrifyingly aggressive towards her in his advances and doesn’t respect her boundaries, something that would have sent any level-headed woman running for the hills. The fact that she is actually charmed by this is a little bit sickening, in all honesty. Shi Yue himself is painfully generic as far as male leads go. He’s a melting pot of drama tropes: tragic backstory, absurdly good at fighting, exorbitantly wealthy, and of course, good looking. And I wish him being utterly boring and unoriginal was the worst thing about his character. But no, he’s also prone to reinforcing tired gender norms like “Women shouldn’t be the forward ones in a relationship,” which he states quite clearly when Nan Qiao prods him into clarifying the nature of their relationship to her. Because heaven forbid effective communication and consent be used in a romantic relationship. It was actually quite upsetting to watch, though not nearly as unsettling as Shi Yue’s aggression towards her when being the “forceful” one in the relationship. There is an actual scene where he drunkenly stumbles into Nan Qiao’s apartment and forcefully kisses her against a wall as she struggles to break out his grasp. I felt a genuine sense of anxiety watching this – not just for Nan Qiao as a character, but Bai Bai He as a woman. The simple idea that anyone sat down and wrote this scene and tried to play it off as romantic is just so twisted to me. So our main male lead gets a big no from me, and I stand resolutely against their relationship. Our second male lead also gets a thumbs down, but for entirely different reasons. Li Xian is actually insufferable. Besides being remarkably selfish, he is also prone to doing things like declaring to his CEO father that he wants to start bottom-up in his company then subsequently throwing a hissy fit when his father does just that by revoking his all-access ID card and demoting him to a company driver. In other words, he’s all talk and no action. And he applies this same strategy to his methods of “wooing” Nan Qiao. He spends the entirety of the first part of the drama: breaking into Shi Yue’s office and apartment only to sit and brood there for no reason, whining to his wealthy father about being independent, and being needlessly antagonistic to Shi Yue over an event that was entirely his own fault. He makes Shi Yue look like a saint, and that’s saying something. There’s no second-lead syndrome to be found here. And, well, no first-lead syndrome either. I wish I could say the supporting characters made up for the unlikable members of the main cast, but alas, that was not so. 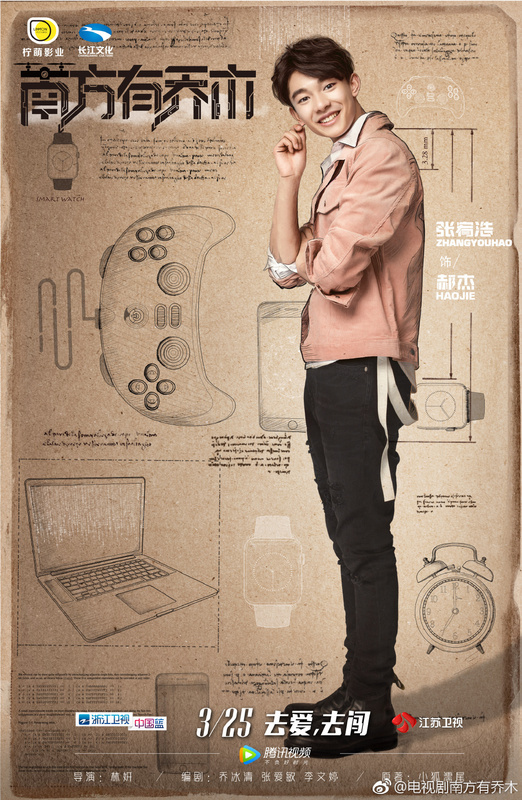 Nan Qiao’s team of techies at Future Up had the potential to be a fun group of quirky individuals, and I typically love the dynamic of office relationships in dramas. But I just couldn’t find it in me to care about any of them. If they weren’t self-absorbed, they were childish. And if they weren’t childish, they were petty. Wen Di, Nan Qiao’s capable right hand woman, might have been the most competent of the bunch but she foolishly falls in love with Li Xian. And anyone that finds his antics not only tolerable but actually desirable showcases a distinct lack of self-respect. So I wasn’t too endeared to her after I realized what her character’s main side plot was going to devolve into. All in all, this drama had me puzzling over its “chicken or the egg” dynamic; I couldn’t figure out if it was the plot or the characters that made Only Side by Side with You so dreadful to watch. It’s not saying much, but the performances of the cast are the best part of the drama I’ve talked about so far. But that’s really only because the plot and characters of Only Side By Side With You were so abysmal. Bai Bai He was the best of the bunch in my opinion, or at least the most natural, because her character felt like an actual person and not some zany archetype or dramatic tortured soul. She was convincing, even if her chemistry with William Chan was not. Maybe it was the dialogue or the way their characters were written, but there seemed to be a noticeable lack of chemistry between the two main leads. I don’t think either of them were necessarily bad in their roles, but their performance on an individual basis wasn’t heart-wrenching and together I just found them bland and rather mechanical. Everyone else is tolerable, if not a little bit wooden. I never really lost the sense of feeling like I was watching a bunch of actors and actresses onscreen, rather than just people, and I wouldn’t call any of it immersive. The only performance that actually grated on my nerves was from Zhang Youhao, who plays Shi Yue’s younger friend Hao Jie. He did this absolutely bizarre wide-eyed expression in virtually every scene he was in, no matter the mood. I think the director was going for “lovable puppy-dog character” but I was mostly just unsettled by the way he seemed to ogle everything he laid eyes on. It was spooky. Unfortunately, the music of Only Side by Side With You isn’t one of its more redeemable qualities either. The opening OST is almost offensively bad. I’d liken it to a wailing version of an outdated Cascada dance-pop song with a horribly misplaced dubstep rap break thrown in. It was so terrible it almost came across as a warning for the disaster that was to follow as the episode actually played out. The best thing about it might be that it could have scared away some viewers from continuing on any further. I think this is one of the few dramas I’ve seen where the worst thing I can say about the music is not that it was underwhelming, but rather that it was actually distracting with how ill-timed it seemed. There were some instrumental pieces that seemed so starkly in contrast to the tone of the scene they were playing in that I was violently pulled out of my immersion in the drama. Some songs weren’t nearly as bad, but the soundtrack of Only Side by Side With You as a whole stayed in a range of “Dear lord, turn this off now” to “I won’t remember what this sounds like the moment this scene ends.” Ultimately, I wasn’t impressed. And now, the most commendable aspect of this drama: cinematography. This cinematography of Only Side by Side With You was actually rather nice, which made it all the more frustrating that the scenes being shot themselves were so confusing and/or boring to watch. In fact, at times it felt like certain scenes were included simply to highlight the cinematography and production value of the drama. It comes across as a very well-produced drone commercial, which may not have been the exact intent of this drama, but I’m grasping at straws to say something nice here. All of the sets and locations were gorgeous, and shot in a way that showcased that fact. But I just don’t think all of them needed to exist or brought anything to the drama other than eye-candy. Overall, however, I will admit that I liked how this drama looked. The visual presentation may actually be my favorite aspect of the production as a whole. The special effects, however, left a lot to be desired. There is a hilariously bad scene in which a car catches on fire and “explodes,” but is so obviously an aftereffect of flames superimposed on an otherwise undamaged car. It looked like something a twelve-year old playing around in iMovie for the first time could whip up in ten minutes. For a drama that really didn’t demand a significant amount of special effects, given its real-world setting and mundane plot, I’m genuinely shocked at how little effort was put into those that were required. Honestly, I kind of hate it. 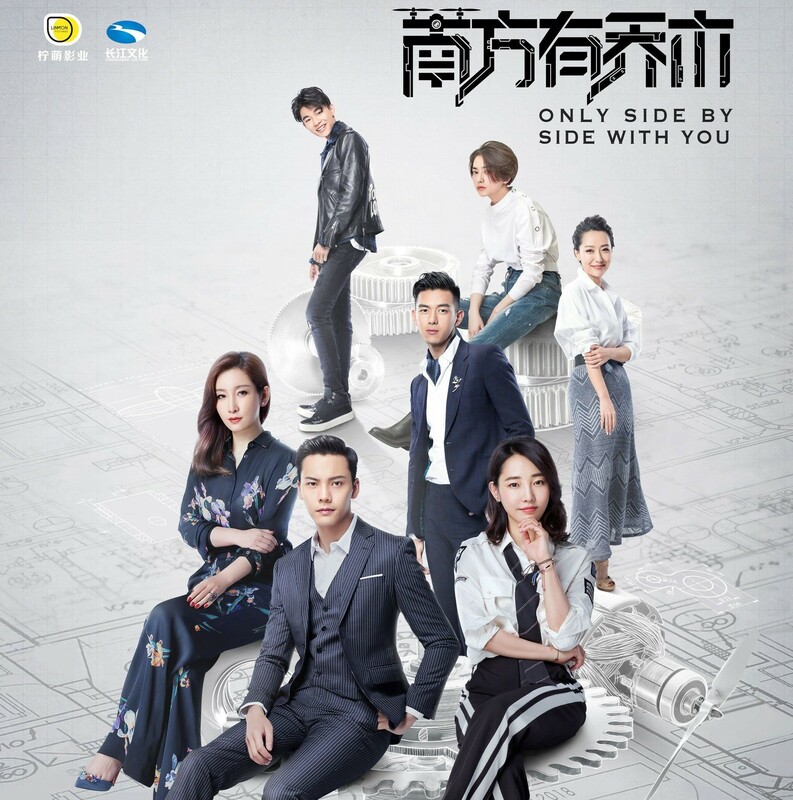 Only Side By Side With You was a drama I couldn't stick out, not with the questionable romance between the main couple and the poor direction of the show itself. If watching a level-headed woman fall for a generic bad boy doesn't make you mad, the infuriating way this drama abuses flashback scenes probably will. Pass.